This week's Weekly Glean wishes it was in Cuba and not in the snowy Northeast. This past December, after the Obama administration announced that the embargo between the U.S. and Cuba would begin to loosen, pretty much every industry began to investigate how those policy changes could make them some money. The U.S. agriculture industry certainly wasn’t about to ignore a possible billion-dollar business partner that’s less than 500 miles from Florida. So a whopping 95 people, including former agriculture secretaries and various business luminaries, were sent to Cuba this week by the U.S. Agriculture Coalition for Cuba, or USACC. 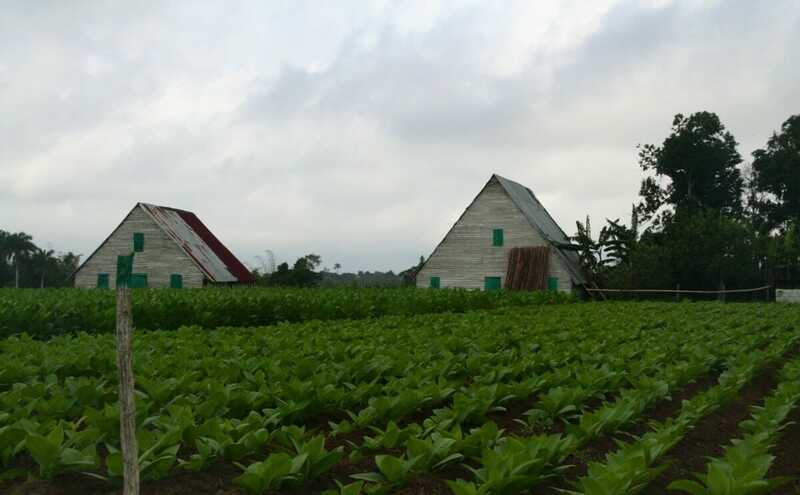 Cuba’s farm system has long been a major problem for the island country; though its land is reasonably fertile, the country has faced struggles thanks to collapsed trade partnerships with megapowers like the U.S., and the Soviet Union. First the U.S. stopped trading in bulk with Cuba thanks to a communist takeover. Then Cuba began trading with the Soviet Union, which eventually fell apart. Suddenly Cuba had no place to easily export its goods, and its closest neighbor refused to be a partner for imports. Cuba’s biggest farms essentially all ceased to exist. In the 1990s, the country began to experiment with small farms, and urban farming is bigger in Cuba than almost anywhere else in the world, but the country still struggles to feed itself. Cuba’s total food imports right now are about $2 billion, of which only $291 million came from the U.S. in 2014, due to various trade restrictions. The U.S. is eager to export rice, corn and wheat to Cuba, and import seafood, vegetables, and, especially, tobacco. It won’t be easy to get that done; Republicans typically block all attempts to loosen restrictions, but it looks like the tide is turning and U.S. agricultural interests want to be there when it does. Is it safe to eat snow? Sometimes, sort of, says NPR. McDonald’s won’t be serving chicken that’s been treated with antibiotics. Coors will release a gluten-free beer (the secret is malted brown rice, apparently). To prevent your child from developing a peanut allergy, gorge on peanuts while pregnant. Cuba’s urban farms should be the envy of the world, or at least the world’s urbanites; they’re called organopÁ³nicos and are pretty much all organic. Admittedly, these came about because people were, well, starving, but from that dark beginning came a system of tiny local pocket-farms that work surprisingly well. It’s snowing pretty good from Boston to Virginia. That might put Boston over the top to make this one of the snowiest winters ever. Could we take that snow and move it over to California to help fight the drought there? Gawker’s Dennis Mersereau investigates. That’s it for this week’s Weekly Glean! Hope you enjoyed.